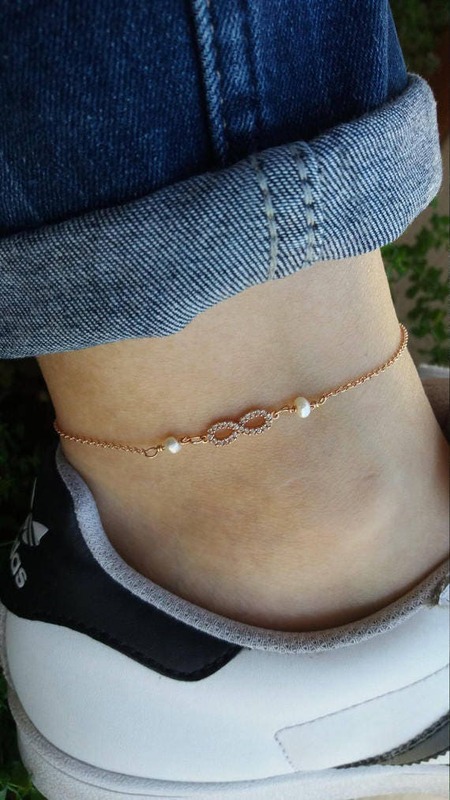 A dainty infinity anklet adorn with small freshwater pearls. 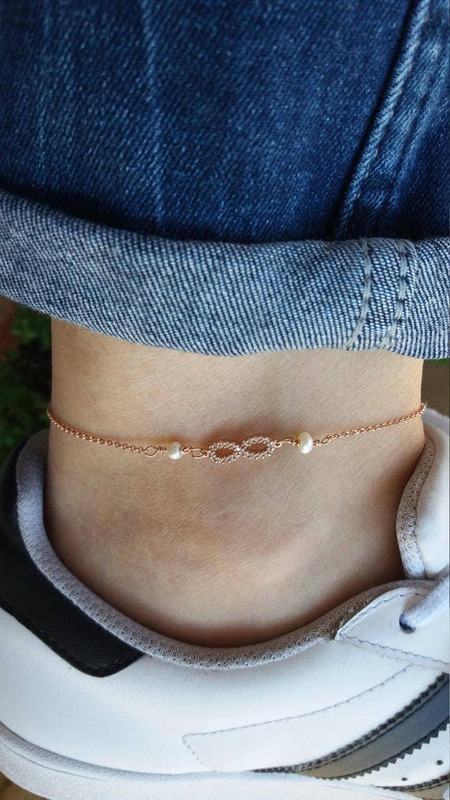 Rose gold filled anklet. Length approx. 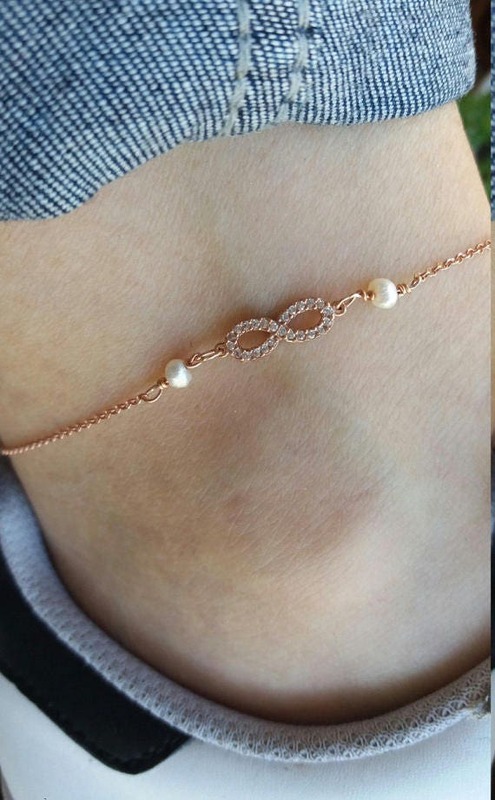 9.5 inches / 24 cm can be adjusted upon request.